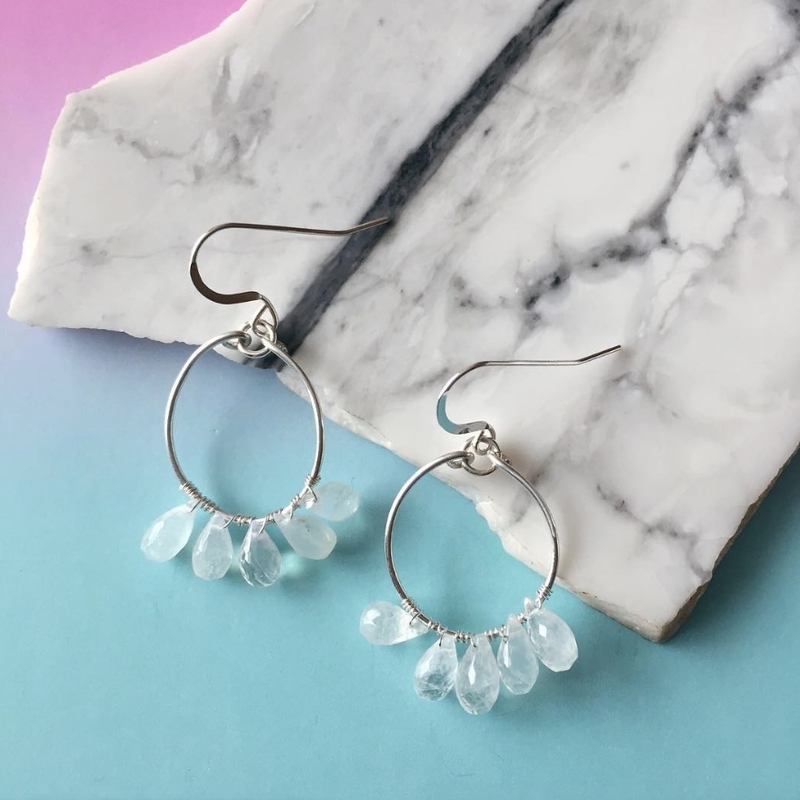 2018 has been a brilliant year for makers and we've loved being inspired by all the unique and beautiful handmade jewellery designs on social media. We love nothing more than supporting jewellery makers by sharing their designs, we find so much joy in being tagged in a design using our gemstones and supplies. In this post, we've featured some of our favourite jewellery designs from 2018 - we hope they inspire you! 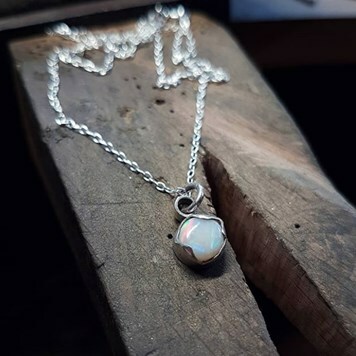 Don't forget to follow us on Instagram and like us on Facebook and don't forget to tag us in your creations and use #Kernowcraft for the chance to be featured. 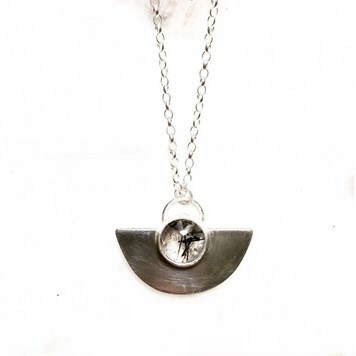 theclerkenwelljeweller - "Map of This Life. WIP. 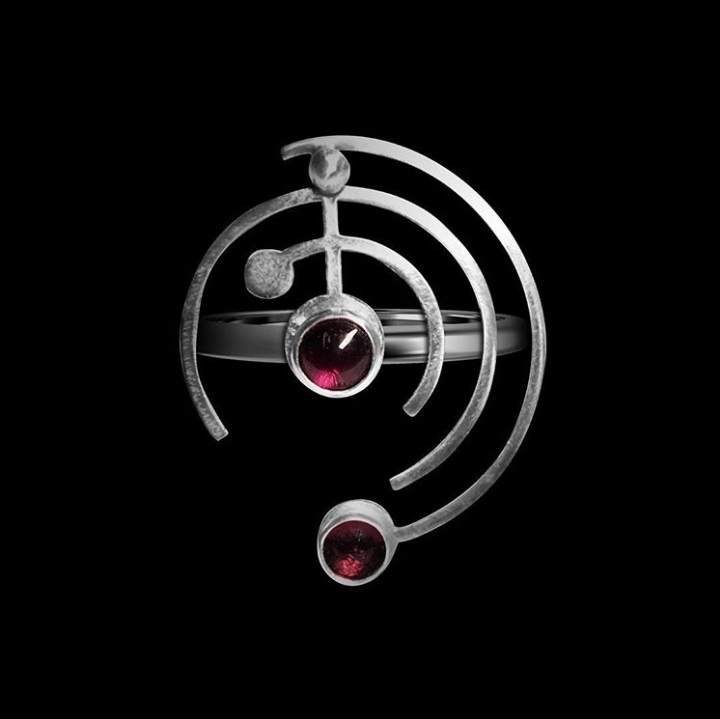 Bespoke laser cut silver ring with garnets. 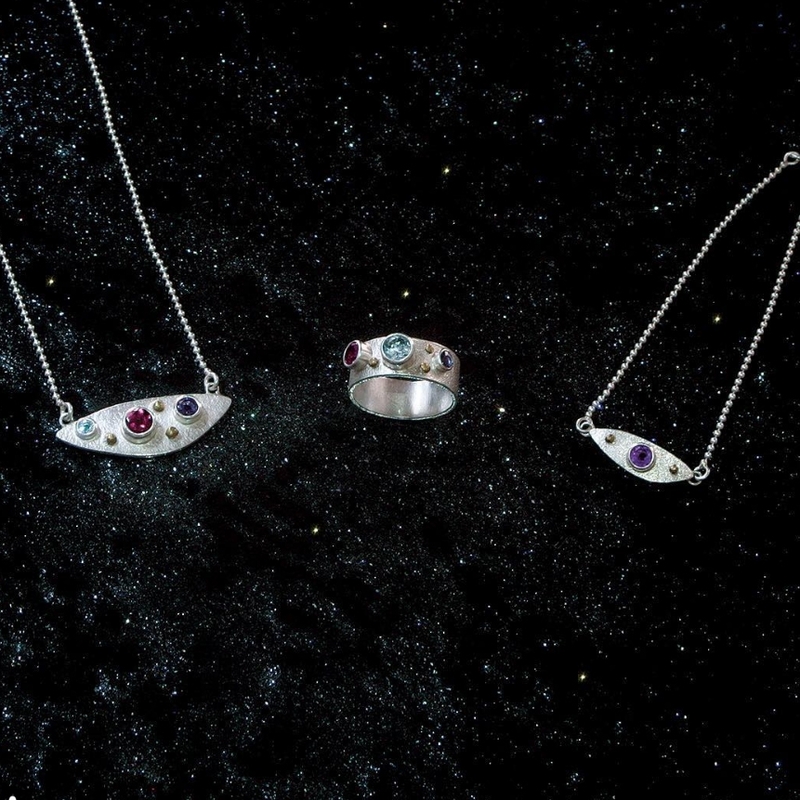 Kernowcraft bezels and stones." Jordan Lily Designs - "Introducing my new bee collection! 🎉 I am so pleased with how these came out, from the initial idea to final product! The little bees are made from brass, and sit on solid silver hexagons, hand-forged in my workspace 🐝"
This Story Jewellery - "Black diamonds for a lucky lady on her 21st birthday 🖤 This one was fun and I’m a little bit proud of it!" 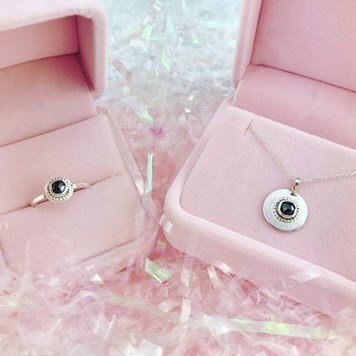 Vikki Hall Jewellery - "Ladies and Gentlemen, it gives me great pleasure to introduce you to The Cosmos Collection - my debut jewellery collection!" Melissa Wood Jewelry - "Striking blue and purple Labradorite pendant wrapped in sterling silver filled wire and accented by a faceted Rhodalite Garnet available now in my Etsy shop 🤗"
Silver And The Gem - "My latest commission ~ and my camera phone skills really don’t do these gems justice. 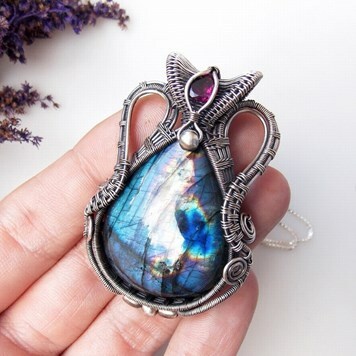 The most beautiful rainbow moonstone crystals that change colour as they catch the light 🌈✨🌓"
Art Pocket Jewellery - "Necklace with impressive Charoite gemstone. 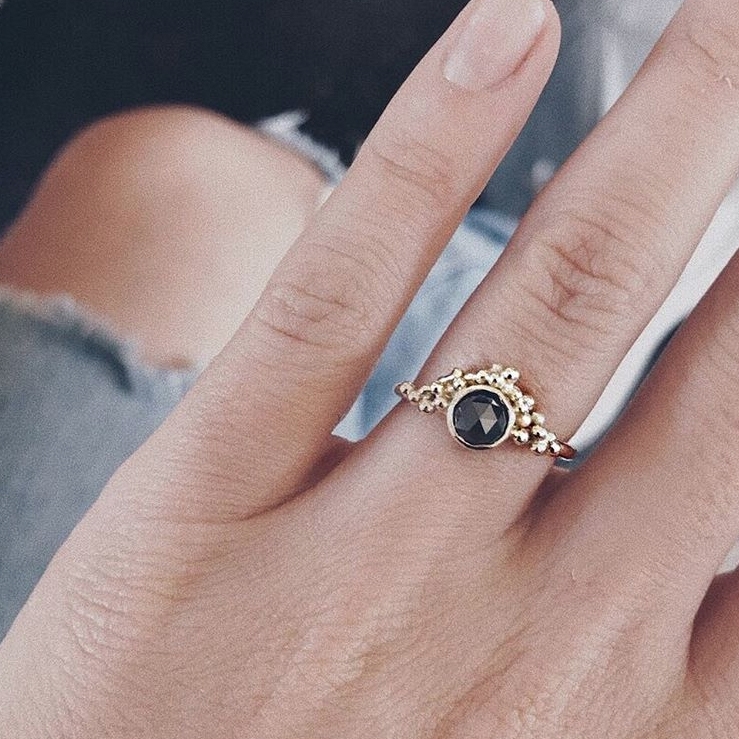 Don’t worry if you’ve never heard of it. Most people won’t have. 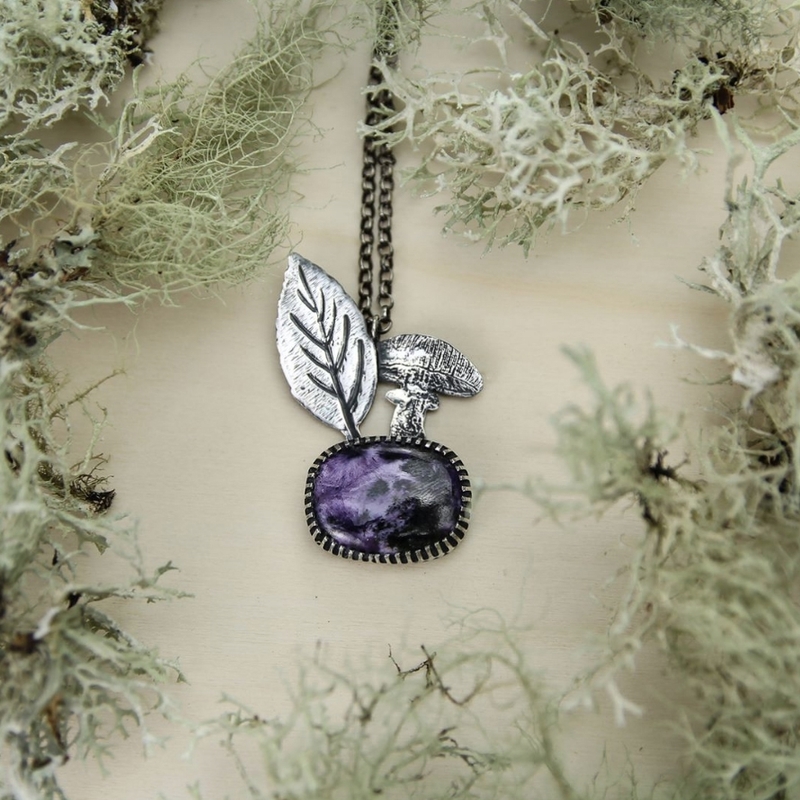 It was only discovered in 1978 and only comes from one place – a small deposit close to the Chara River, near the small town of Aldan, in Siberia, Russia. Due to the extreme cold, they are only able to mine for a few months every summer – a blanket of snow covers the mine for most of the year." 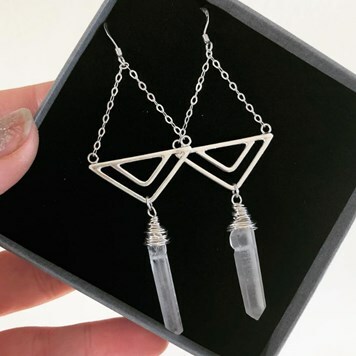 Sea Surf Rocks - "I got asked to create another pair of these Aztec crystal earrings recently and forgot how much I loved them! It definitely got me in the mood for making some geometrics! 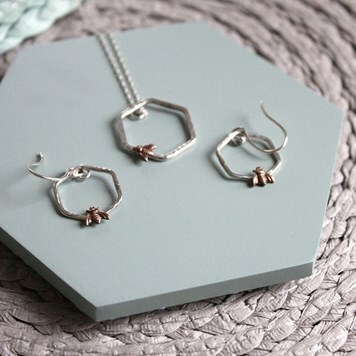 I’ve just added them to the online shop too. Thanks Kernowcraft for the crystal points they look great!" 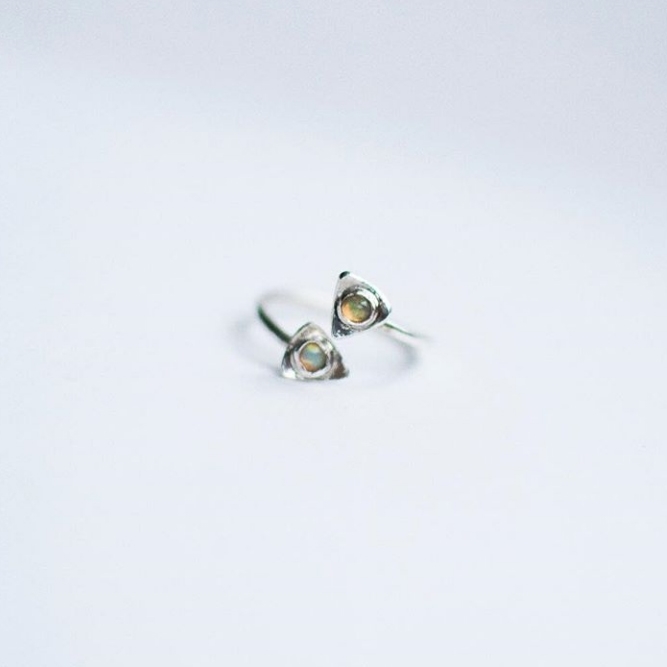 Designed By Ire - "Opal triangle ring. 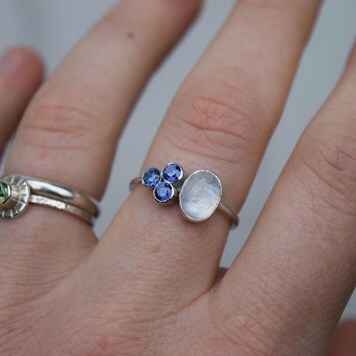 It's hard to take a photograph to properly show how pretty the opals are in real life." 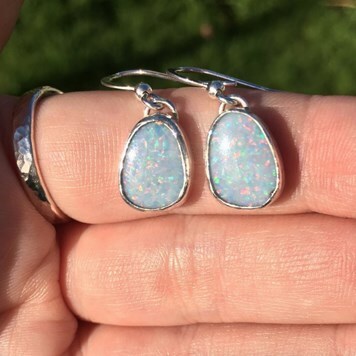 Silver Linings Jewellery - "Some beautiful Australian opal earrings I made last summer which are for sale! ✨I haven’t made anything for a while as I’ve lost my mojo a bit over winter but as the sun comes back I’m sure I’ll get hammering again 🌞🌈"
Midnight Alchemy Designs - "I’ve been busy working on some new pieces that are coming along nicely but are definitely at the polishing stage now so here’s one from earlier this year inspired by Art Deco designs. 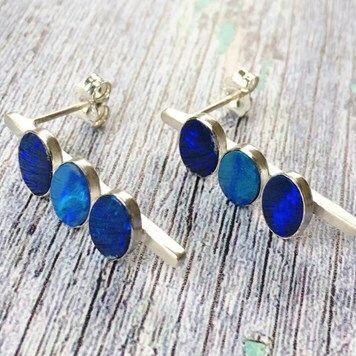 This piece (and some matching earrings) is available in the store now." 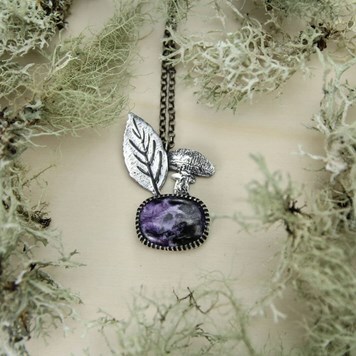 Featuring black tourmalinated quartz cabochons. 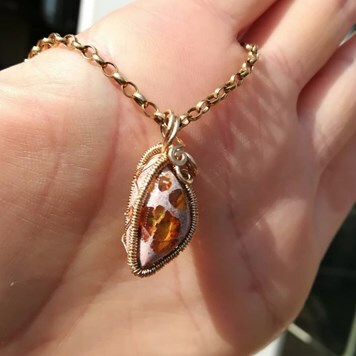 Faye Loves - "Finally finished wrapping this Mexican fire opal in Gold as a gift for my Mam! My first gold project. 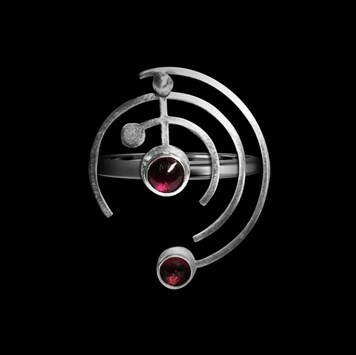 Really enjoyed the challenge!" Moonsalt Jewellery - "Practising a new design and attempting to master a new stone setting technique with this beauty 👩🏼🏭. I have to say, this must be the prettiest little ring I have ever made!" 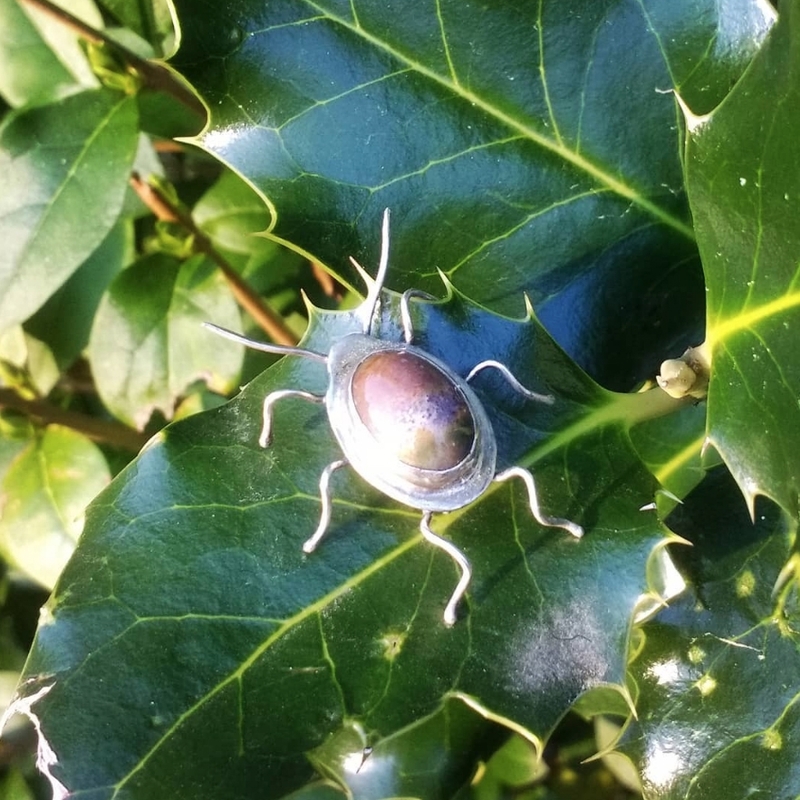 Lucie Jade - " Got back from work and decided to take Jeremy out of a stroll and couldn't resist a pic in the sun 🐞🌤️ learnt a lot about soldering techniques while making this little fellow. 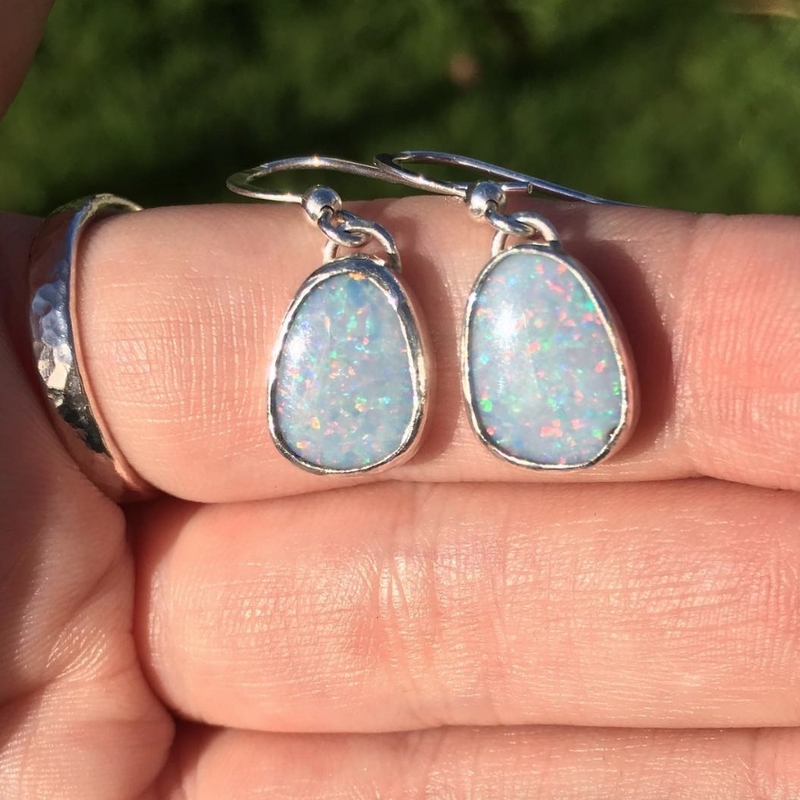 He is adorned with a fancy jasper bought from Kernowcraft and definitely inspired by ye old nature 🍃🌳🌲"
Speckled Heart - "Beautiful opal earring commission just finished. 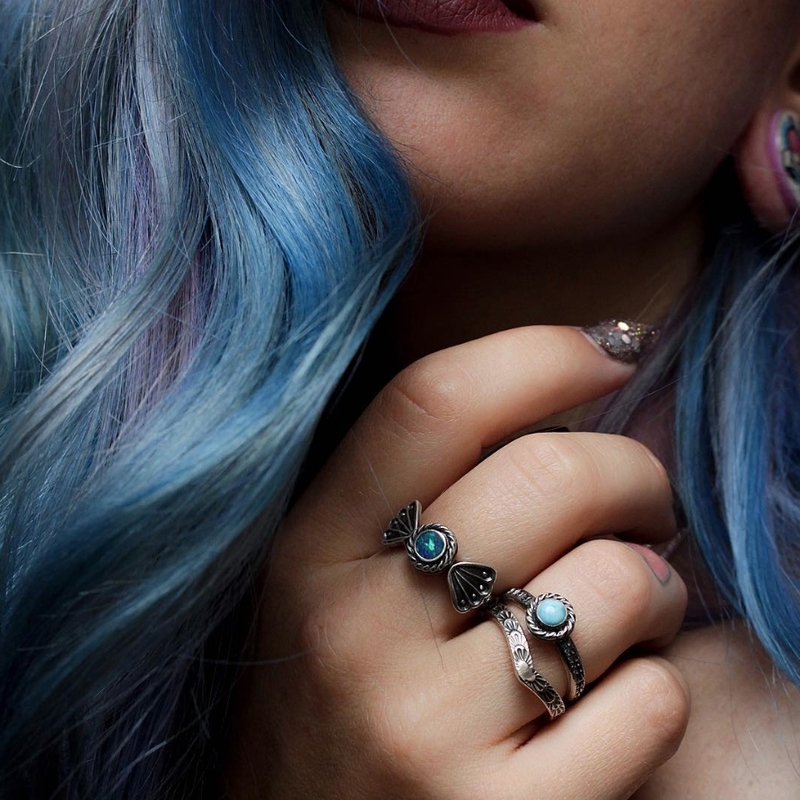 All those shades of blue and ultraviolet look amazing together." 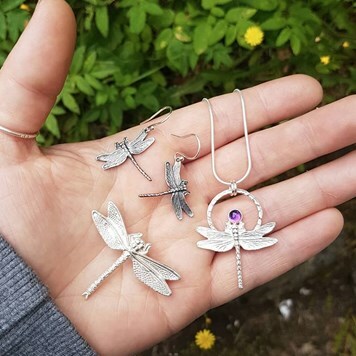 Hna Jewellery - "I’ve been pretty quiet lately as I’ve been incredibly busy but Summer is here and I have lots of projects lined up! 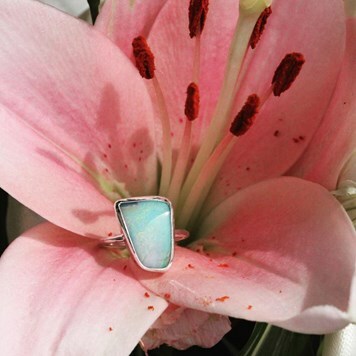 Thought I’d kickstart my insta pictures off again with this gorgeous boulder opal ring set in sterling silver 😁👍🏻 the opal is from Kernowcraft." I Love Dolly - "Natural paua shell ring, with copper serrated edge bezel cup and sterling silver band. Thanks to the hubba for watching our little bubba whilst mama can do a little Saturday craft!" 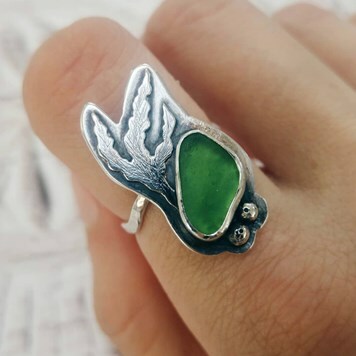 North To South Jewellery - "I mentioned I was going to do something a bit wilder with the sea glass I've been setting... here is the first 'Underwater Forest' ring. Textured seaweed, bottle green bezel set sea glass, and two little 'barnacles' clinging to the side." 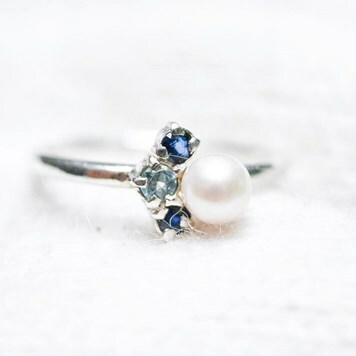 Trzpiotkajewellery - "A little vintage must-have with a freshwater pearl sapphire and aquamarine served with love." 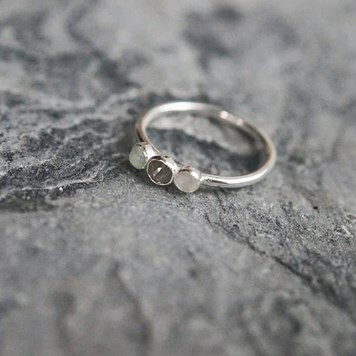 Sadie Jewellery - "The minute my eyes laid upon this rose cut silver diamond from Kernowcraft everything fell into place... Together the client and I chose the sea glass that would suit accordingly and then I shaped and cut them into little cabochons ready to be set alongside the sparkling diamond. The reason why I choose Kernowcraft for my diamonds is because they are ethically mined and cruelty-free. Something that I strongly believe in!" Follow us on Instagram and like us on Facebook to stay updated with new products and your daily dose of inspiration. 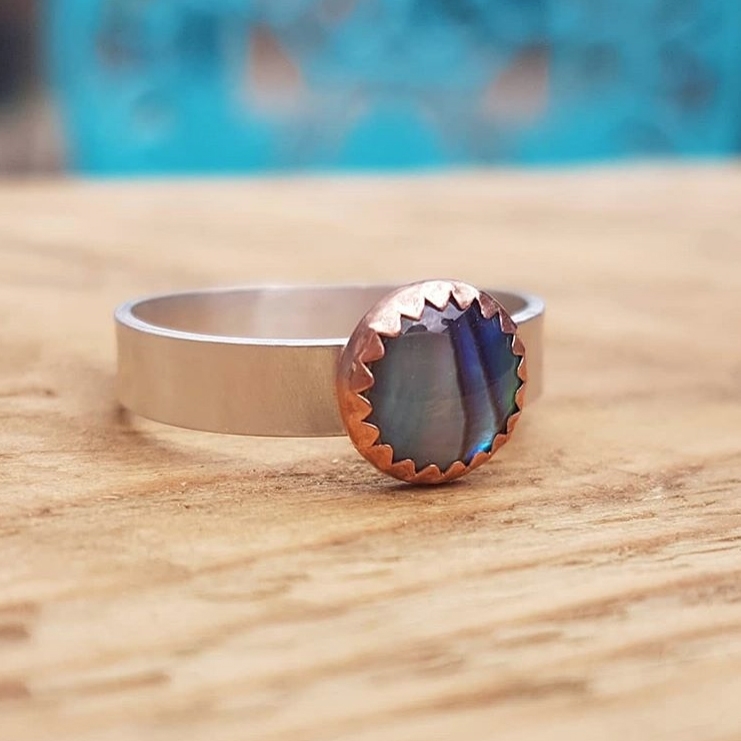 Use #Kernowcraft and tag us on social media for the chance to be featured and so we can admire your beautiful jewellery designs!